This weekend is dominated by one large and windy spring storm system. Out West, the storm ends on Friday with residual snow and gusty wind in Colorado, Utah and Wyoming. A second slower storm system hits the West Coast on Saturday and continues through Monday. In the Northeast, a mix of rain and snow on Friday ends and all eyes are on the big Western spring storm system as it arrives with rain, ice and snow starting on Saturday. It slowly evolves and may last into Monday and possibly Tuesday. Pacific Northwest: I'm forecasting a persistent flow of moisture with two storm systems. Snow is likely Friday, Saturday, Sunday, Monday and Tuesday on the high volcanoes, Cascades and even the Olympic Mountains: 1-4 feet of total accumulation. Northeast: A mix of rain and snow on Friday ends, then get ready for a powerful spring storm system between Saturday and Tuesday. It's a slow mover. It starts with ice, snow and rain on Saturday. The ice, rain and snow intensify on Sunday. Wind gusts intensify on Monday and Tuesday along with the ice, rain and snow. The skiing is going to be difficult. Some of the "better" conditions will be in Maine. Colorado, Utah: Residual snow and gusty wind continues on Friday then ends. Drier Saturday and Sunday. The next storm system arrives between Monday night and Tuesday. 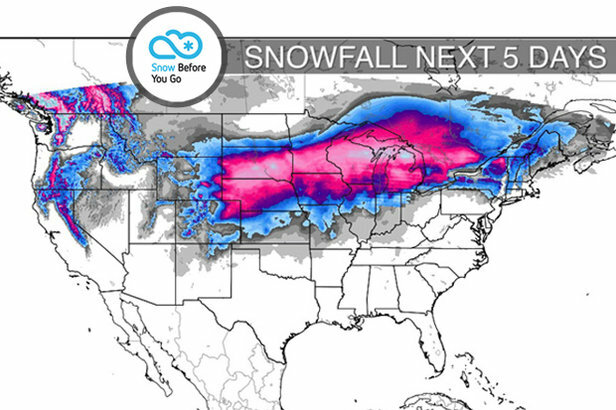 The new snow will help you take advantage of closing weekend at many resorts. Ski Alta, Snowbird, Loveland, Arapahoe Basin, Breckenridge and Vail on Friday and Saturday. Wyoming, Montana, Idaho: Residual snow ends on Friday in Wyoming and parts of Montana. Then the next storm system begins to deliver snow to Idaho by Friday afternoon. Light snow accumulation on Saturday with rain mixing in at lower elevations in all three states. Light to moderate snow accumulation on Sunday with rain mixing in at lower elevations again. The main thrust of the storm system arrives between Monday and Tuesday with moderate to heavy snow accumulations supported by colder air. Snow may linger into Wednesday. California: Dry until Sunday-Monday when the next storm system moves in with rain and snow. It does look like more snow than rain this time around thanks to slightly colder air. Moderate to heavy snow accumulation from Tahoe to Mammoth. Whistler/Blackcomb: A persistent flow of moisture continues through this weekend into early next week. The prime days for snow higher on the mountain are Friday, Saturday and Sunday. 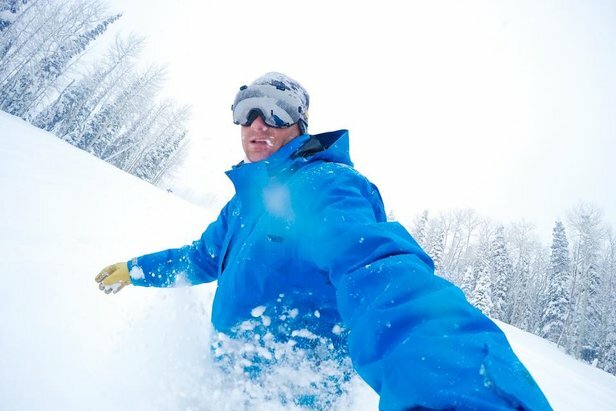 Tomer's Take: Ski Alta, Snowbird, Loveland or Breckenridge on Friday, Schweitzer or Vail on Saturday, and in the Pacific Northwest on Sunday for new snow or under sunny skies at A-Basin. As a bonus, ski Tahoe or Mammoth on Monday.